The Capitol Steps began as a group of Senate staffers who set out to satirize the very people and places that employed them. 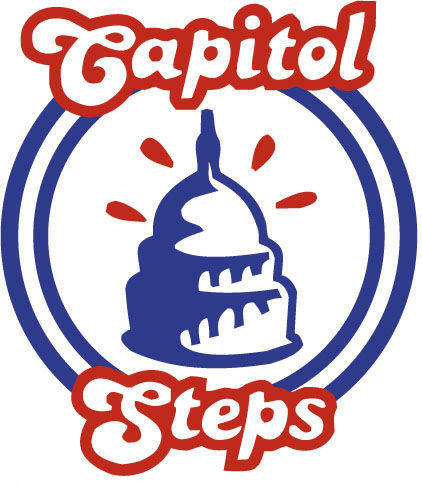 Since they began, the Capitol Steps have recorded over 30 albums, including their latest, How to Succeed in Congress Without Really Lying. They are doing their thing and putting the MOCK in Democracy at their summer home at The Cranwell Resort in Lenox, MA through August 31st. Cast members Bari Biern and Mike Tilford join us. Lets face it, a presidential election year is a very good time to see the award-winning musical satire group, Capitol Steps. Not there is a bad time. Cap Steps has returned to Cranwell Resort, Spa and Golf Club in Lenox for their sixth consecutive summer and will play through now through September 2nd. Cartoonist, Comedian, and Artisanal Pencil Sharpener, David Rees is the host of a new show, Going Deep With David Rees, which premieres tonight on the National Geographic Channel. In each episode of the show, David and his team consult with experts on how to excel at seemingly simple day-to-day tasks like how to tie your shoes, swat a fly, dig a hole, and, make an ice cube. Emmy Award-winning (Picket Fences) stage and screen legend Fyvush Finkel will celebrates the great songs and humor of show business at Mr. Finn's Cabaret at Barrington Stage. Accompanied by his two sons – Ian Finkel, the World’s Greatest Xylophonist, and Elliot Finkel, concert pianist extraordinaire – the 91-year-old Fyvush offers a first-hand account of his incredible career spanning English and Yiddish roles, from Second Avenue to modern-day television stardom. Steve Martin and the Steep Canyon Rangers, featuring Edie Brickell are hitting the road fresh off their recent Grammy win for Best American Roots Song! They will be at The Palace in Albany, NY on Friday, June 20. The concert will showcase new material performed by Martin and Brickell, including selections from their album Love Has Come for You along with the unique hybrid of bluegrass and comedy that Martin and The Steep Canyon Rangers have been delighting audiences with at their sold-out, critically acclaimed shows.